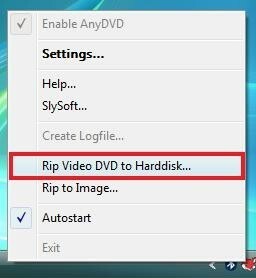 Since the tools used in Blu Ray back-ups are updating so frequently, I figured another guide couldn't hurt. My personal philosophy on back-up copies is that if the original disc had it, I want to have it on the back-up (at least as far as the main movie is concerned.) With that in mind, I have written this guide with optional steps to include all the language (dubs) and subtitles found on the original disc. Of course, if you just want the main movie and one audio stream, that's even easier and this guide can help you do that. With luck this guide will also be a work in progress so that as new tools become available (or the existing tools update and add features) I'll be able to edit this guide and note the new developments. Note that I tested/wrote this guide using Vista Home Premium 64 bit (so yes, even with 64 bit compatibility issues, I was still able to get this all to work.) Also, it's worth noting the two other guides I used as I was developing this guide - Baldrick's can be found here and ioannis66's can be found here. Also, it has come to my attention that some people dislike the .mkv format because few non-computer players (stand alone DVD players, portable devices, etc.) can play it. 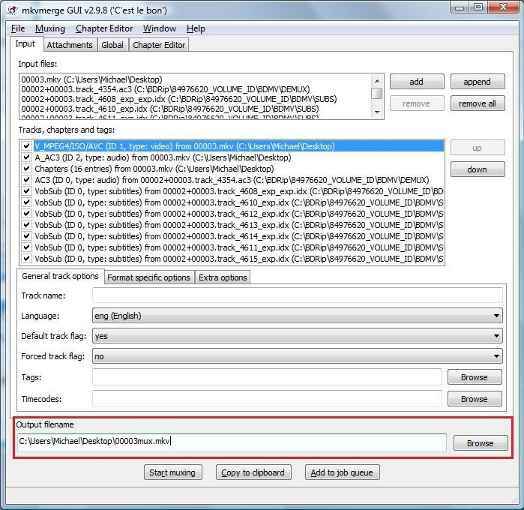 For a guide on converting .mkv files to .avi, read here. Note, though, that this requires .srt (text) subtitles via OCR (which is one of the main things I was trying to avoid and thus what led me to the .mkv container.) As a compromise, you might see what the .mp4 container can do for you (since RipBot264, the main converting software used in this guide, also supports the .mp4 container.) Alright, let's get started. 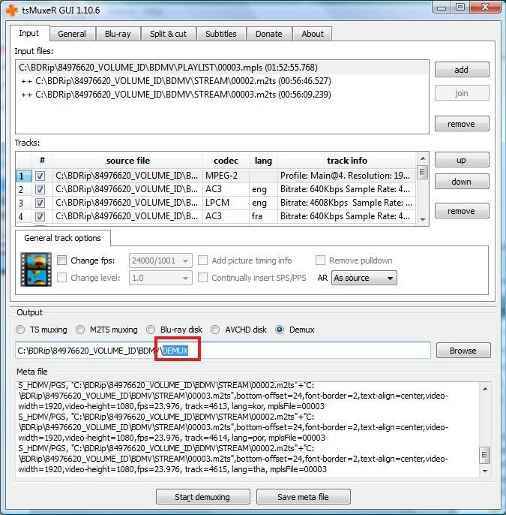 You will need something like AnyDVD HD to remove the copy protection from the Blu Ray disc but I also strongly recommend ripping the disc to your hard drive before working on converting it. This will take up a lot of hard drive space (say around 35-50GB) but greatly reduces the risk of things getting messed up. I did this while writing this guide so if you don't, realize that you're taking a risk. This is well documented in this guide. Just in case, though, here's a rundown of how to do it. 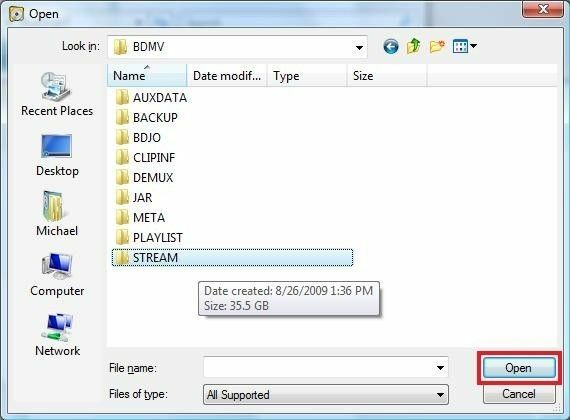 Once AnyDVD scans the disc and determines what to do with it, right click on the fox icon (over by the clock, in the lower right) and select "Rip Video DVD to Harddisk"
If it will let you, navigate to the "Playlist" folder and select the number that you found using BDInfo. If that doesn't work (it won't let you select a playlist file) you might also be able to go to the "Steams" folder and select the file with the same number from BDInfo. 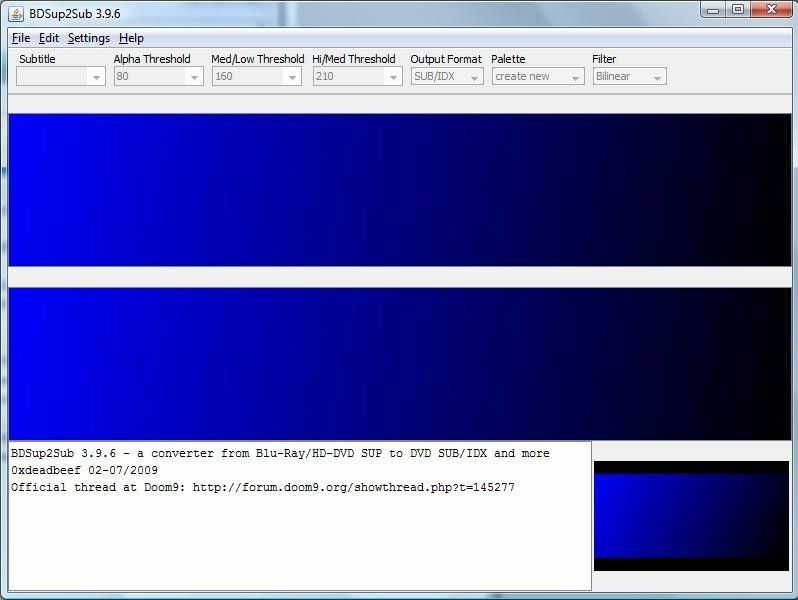 In short, you're probably best to just let tsMuxeR GUI demux the audio tracks, but if for some reason RipBot264 can't demux the video or subtitle tracks, then use tsMuxeR GUI as an alternative. 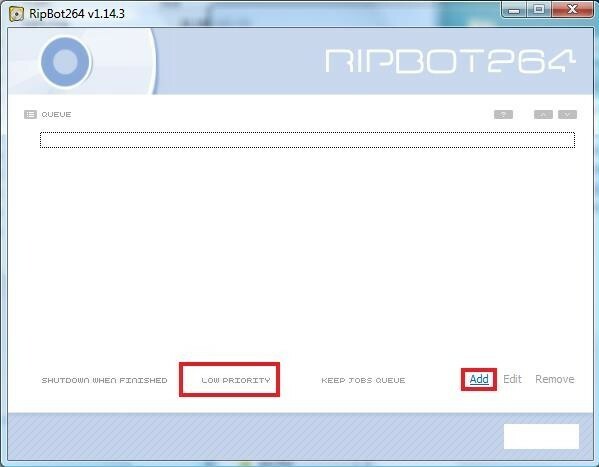 Note: If you used tsMuxeR GUI to demux the video, you might be able to add it to RipBot264 and you might not. I recommend only using tsMuxeR GUI for the video if RipBot264 can't get it to work. Under subtitle be sure to select the last option, All Subtitles (unless you demuxed the subs using tsMuxeR GUI) - assuming you want subtitles of course. I can't really tell you which to use - the trade off is size vs. quality. I think a 1 pass (CQ) at "20" (the lower the number, the better the quality) gives a good quality file for its size and doesn't take quite as long as a 2 pass to encode. You might consider getting a small file clip and encoding it using several different options to see which one you like best. In any case, I set CQ 20 for this. Look over your settings and also make sure that the output path works for you (if it doesn't, hit the "..." to the right of the the output file path and choose a new one.) Note that you can't just type right on the output path, you have to edit it under the "..." (at least as of the writing of this guide.) I don't recommend doing anything under "Subtitles ..." unless you want burned in subs. It'll give you a fairly accurate estimate of when it will be done, but note that if you're doing 2 pass then the time remaining will only be for the pass it's on. -Go to bed, go to work, go shopping, do homework...whatever, but just leave your computer alone for a few hours because this'll take a while. You should get a box like this, asking what to do with the files. I set the option for 1080p since that's what the source disk was. It should automatically detect frames/second (fps) so you shouldn't need to adjust any of the other options. After hitting OK, it will load the file. You can use the "Set subtitle number" option (the dropdown box just under "File") to navigate between subtitles and make sure they look OK. 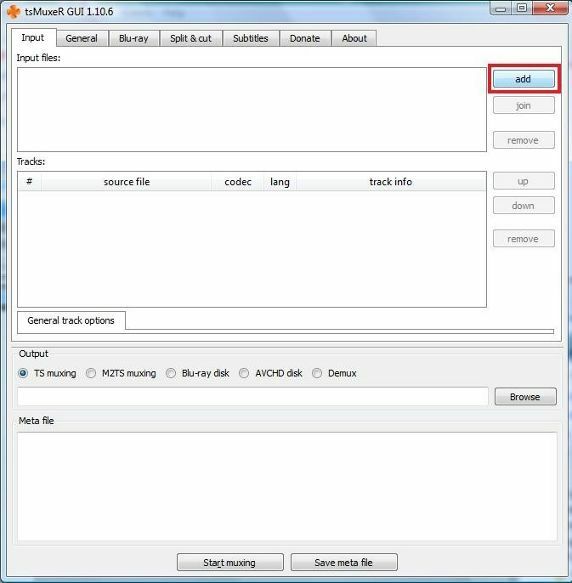 If you want more than just video with one audio language (which is what RipBot264 will give you, at least as of the writing of this guide), use mkvmerge GUI (part of MKVToolnix) to mux the other audio and/or subtitle streams into the output file from RipBot264. 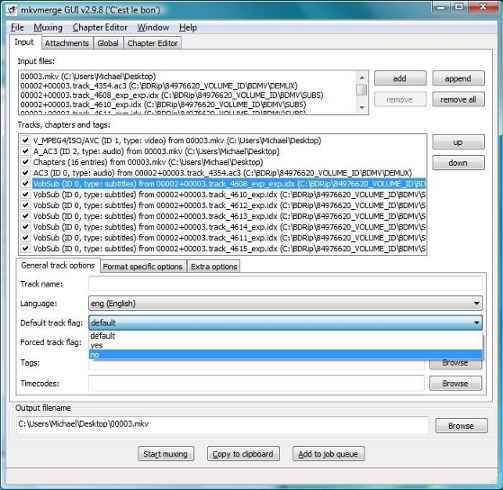 The file you got from RipBot264 should just have one video and one audio file (with no subtitles.) Drag and drop this file in the "Input files" area of mkvmerge. Also drag and drop any other language or subtitle files (you'll probably need to drop the .idx file rather than the .sub file for each of the subtitles if you used BDSup2Sub.) It will probably set each added stream to "default" so change those all to "no" (unless you want that stream to be on by default.) I don't know what it would do if it had multiple audio and multiple subtitles on by default, but I didn't want to find out. There you have it! All done Please post with any questions/comments. Thank you for this nice guide. I followed it, and everything was exactly like it is described here. Just change a slash for a dot in the link to the last picture but one, so as to show it in the guide too. I fixed the broken image link. Yep, a good and detailed guide! Thanks. I realize it is no fault of the author since ripbot264 has changed but it should be noted that the steps above for dealing with subtitles are no longer needed and ripbot264 is handling it within it's gui. Thanks for the guide. I've used the same methods a few times but it's good to have it all written down step by step with pictures. 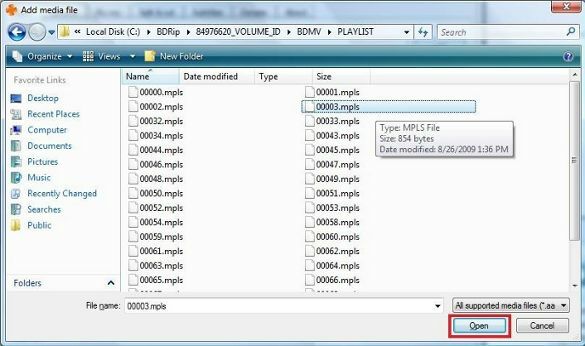 Just a few things I noticed but first let me say that 2 software programs MakeMkv and the DVDfab7 will rip, separate out the unwanted titles and audios in one step and convert the BD to MKV in about 20-45min depending on the computer. Now about what I noticed. 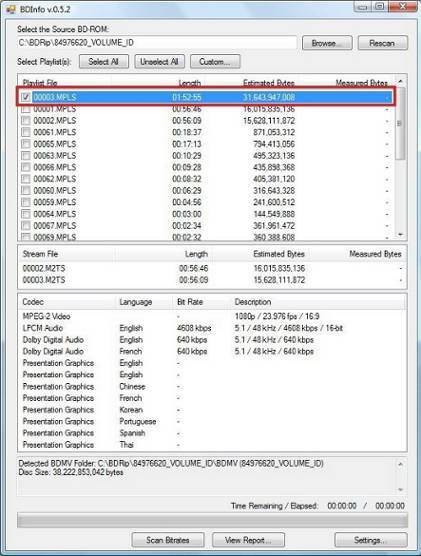 PGS SUPs can be muxed into MKVs but most programs or devices will not play them. The above 2 programs I mentioned will automatically mux SUPs into their conversions. To make them usable they can be muxed out using a few programs. I use MKVCleaver. Then run the PGS SUP through BDSuptoSUB. Hower, my Seagate player locks up if I use the 1080 setting, but strangely, It works fine if I use the 720p setting. Additionally, since the above mentioned programs automatically do most of whats needed I don't remux the idx/subback into the MKV since it's a big extra step. Most hardware and software players will find the external Subtitle if the idx/sub has the same name as the movie and is in the same folder. So I just leave it as an external sub in the same folder. Is that really true? That is my point.As far as I can tell I think you and Tut author are both workign on assumptions from older versions of ripbot264. In fact when I use the current ripbot264 for BD, it is handling the subs, reading them, converting them and allowing me to choose and include them in the MKV. 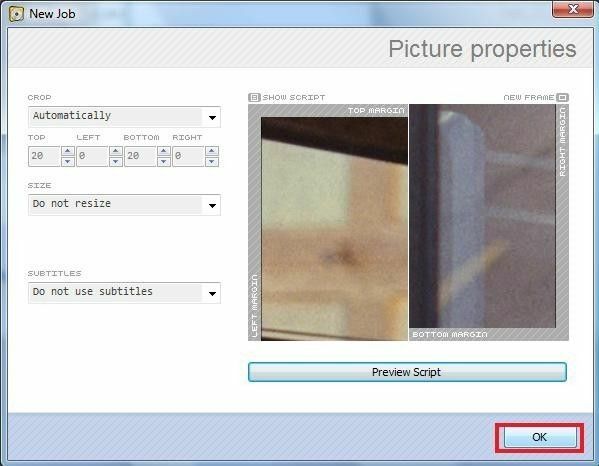 With the resulting MKV, on my PC or server VLC shows the subtitles list fine and allows me to select and play them. And my Asus and WD TV LIVE allow me to choose them fine as well. What I am doing is through (ripbot only) taking forced Enlgish langauge stream and makign them hard subtitles ("build in picture") and then also inclduing English and Spanish subtitles from ripbot264 as soft subtitles. They are in fact all there in the MKV. So of 1) "forced", 2) Hard, and 3) Soft subtitles, I am having no problems with the latter two with ripbot264 alone. I cannot however determine how to set one of the included soft subs to be forced, if that is possible wither through ripbot or some other means.. I haven't done any forced subs. Some of the movies have some forced subs and they seem to still be there after the conversion. I noticed that DVDFAB7 has a forced option but I haven't tried it. My only points were that with the two programs I mentioned you could end up with a stripped down MKV from a BD in the same amount of time it would take AnyDVD to just rip the BD to your hard disk. To avoid the time it takes to mux and remux, I use the idx/ subs without muxing them back in. After many attempts to get the idx/sub to work with the Seagate free agent player I found that using 720p instead of 1080 would make it work. I also noticed that too much muxing and remuxing would also cause the Seagate but not the WD player to freeze. With the Seagate player, when it looks at the MKV it has to play it makes an immediate decision to either play the file or freeze up. Those same files might take 5 to 10 seconds to load on my WD but the WD will play those files without fault. Re: newer and older versions of ripbot and other programs that use a group of additional programs, they all seem to be buggy and some versions of the other programs don't work as well as other versions. 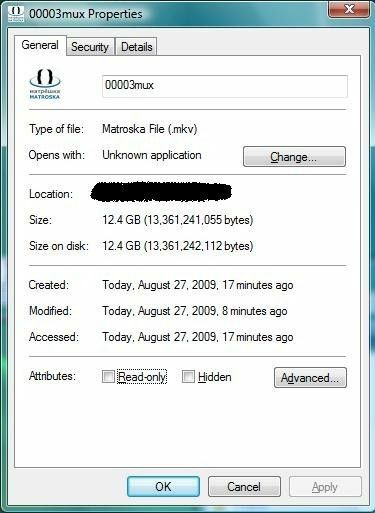 MKVtoolnix is constantly updated but the gui is years old. 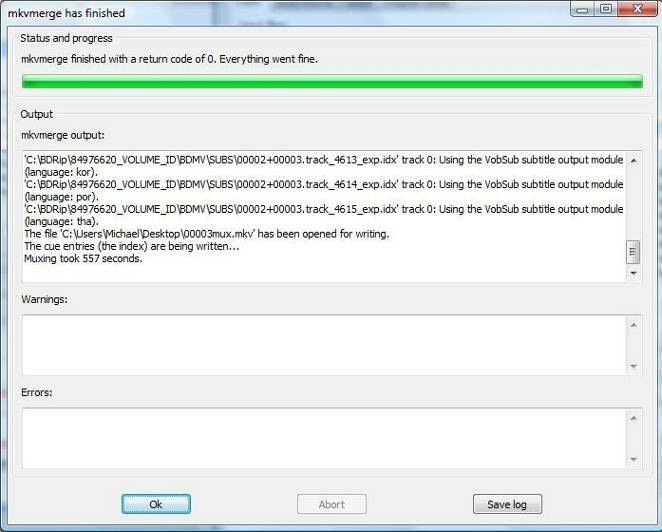 If you try to mux some subtitles some of the programs say they don't handle those types of files. Hit the proceed button again and they do it. MKVCleaver when muxing out PGS SUPs stops at 99% but it is done and BDSUP2SUB accepts the file. Also, after trying over and over again to use Suprip to get workable srt subtitles, I just gave up. It will read Arail fonts but nothing else. There are so many sites that have subs for downloading that if I need srts downloading them is the way to go. Does anybody know an easier and quicker way to convert blurays into multilanguage mkvs (preferrably with subtitles) than the one described above? Works fine for me only without ripbot. I made 2 blueray. I created only .MKV files. The fisrt 8.5 gig and the second almost 33 gig. Why the second is so big? I'd like a movie between 8 and 14 gig. What can i do? The original post was from 2009 and would be way out of date at this point. By 'Works fine for me only without ripbot' makes is sound like you copied the contents of a Blu Ray to an MKV without compressing it, which now-a-day's can be done with a program called MakeMKV. 33gig is about right for a Blu Ray rip. If you want a smaller file you need to do the Ripbot bit (which can also be done by a lot of other programs, too many to mention really). I can't really say any more, because I don't know what you want in your end file. I'd like to burn a Bluray and add more than one sound track and more than one subtitle, but the program I use (Cyberlink PowerDirector 12) can not do this. Do you guys know if there is a program that can do it? I would very much appreciate your help. Conver MKV with ENG audio/subtitle to AVCHD or Blu-ray with subtitle help? Blu-Ray player with HD mkv support? Best Blu Ray player w/ DivxHD, mkv and Xvid support?